The National Skill Development Corporation (NSDC) has approved the Indian Paints Association (IPA) proposal to establish a dedicated paints and coatings skill council to address the widening and significant skills gaps which exist within the industry. Proskills UK first signed a Memorandum of Understanding (MoU) to support the Indian Paint Association’s establishment of a Paint and Coatings Sector Skills Council in January 2014. 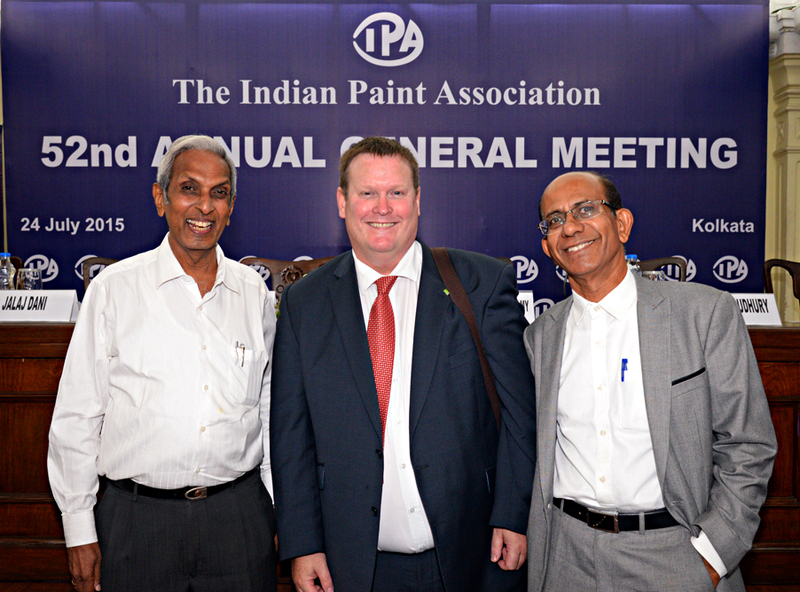 18 months of hard work has seen the Indian Paint and Coatings Sector Skills Council launch at the IPA Annual General Meeting held in July 2015. This dedicated paint and coatings skills council which will create the standards required for skills, encourage and promote the setting up of the required training institutions and academies and ensure that all those working in the Indian Paint and Coatings sector are competent and well trained to a high level. “The double digit growth of the Indian Paint Industry in the last decade, has resulted in tremendous skill gaps in almost all sectors of the paint industry supply chain, from raw material procurement, production, logistics, retailing and ultimately in the application of the paints. As the original developer of the SSC proposal, I have the satisfaction of handing this over to the safe hands of Mr Ram who will make it success for the industry. The ongoing help and support received from Proskills UK is very much appreciated by me and the IPA. I am confident that strong partnership between IPA and Proskills will continue to benefit all”. National Skill Development Corporation(NSDC) is a not-for-profit company set up by the Ministry of Finance, within the Indian Government. NSDC is a Public Private Partnership (PPP) in India set up to facilitate the development and upgrading of the skills of the growing Indian workforce through skill training programmes. A large part of the organisation’s efforts are directed at the private sector and towards developing the skills in the unorganised sector in India. NSDC supports skill development efforts, especially in the unorganised sector in India by funding skill training and development programmes. It also engages in advocacy and training programmes, in-depth research to discover skill gaps in the Indian workforce, and developing accreditation norms.